The List of Housing and Apartments in Harrison Township provides information about the numerous apartment complexes in Harrison Township. The environment of Harrison Township provides several different choices of apartments ranging from locations on the water, to near the beach, and within walking distance of the main strip malls. Browse through the alphabetical listing to find what you are looking for. Please pay special attention to the “Featured” business that support ExperienceBoatTown’s effort within BoatTown. 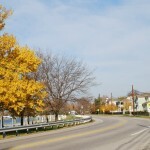 Harrison Township offers a broad selection of housing.